Combines existing quality programs (meaningful use, PQRS, VBM) into one new Quality Payment Program (QPP). Two routes are available to providers under the new QPP: MIPS or Advanced Alternative Payment Models (APMs). A majority of optometry and ophthalmology practices will fall under MIPS and not Advanced APMs. Merit-Based Incentive Payment System (MIPS) is a new Quality Payment Program that combines meaningful use (MU), Value-Based Payment Modifier (VBM) and Physician Quality Reporting System (PQRS) into ONE program for Medicare Eligible Clinicians (ECs). EPs (Eligible Professionals) are now called ECs. MIPS begins January 1, 2017. ECs can choose to start collecting data at anytime in 2017 between January 1, 2017 and October 2, 2017. Performance data must be submitted by March 31, 2018. The final payment adjustments based on performance go into effect on January 1, 2019. MIPS calculates a Composite Performance Score (CPS) based on four performance (4) categories: Quality, Advancing Care Information, Clinical Practice Improvement Activities and Cost (or Resource Use). Each category has different weights per reporting year. Many MIPS categories are based on existing CMS Incentive Programs such are PQRS, VBM and MU. Does MIPS replace both the Medicare and Medicaid EHR Incentive Programs? No. MIPS replaces the individual ECs Medicare EHR Incentive Program, PQRS and VBM. However, MIPS does not alter the CAH/Hospital-Based Medicare Incentive Program or the Medicaid EHR Incentive Program. What are the MIPS exemptions for performance year 2017? Pick Your Pace: Depending how much data you choose to submit, this can determine any payment adjustments to your 2019 Medicare Fee Schedule (i.e. penalties, neutral adjustments or incentives). The size of the payment adjustment will depend on how much data you submit and your quality results. For more information, download the CMS Quality Payment Program Overview Fact Sheet. Quality Payment Program Fact Sheet: Reviews APMs, MIPS, timelines, what you need to do for MIPS, should you participate as an individual or group, and other resources. Quality Payment Program Executive Summary: Provides a detailed summary of MIPS, APMs and criteria for physician-focused payment models. Quality Payment Program Website: Reviews APMs, MIPS, who can participate, timelines and more. How to Obtain a Quality and Resource Use Report (QRUR): How to access a QRUR, setting up your account and technical assistance. A Guide for Understanding Your QRUR Report: Reviews the background and purpose of QRURs. 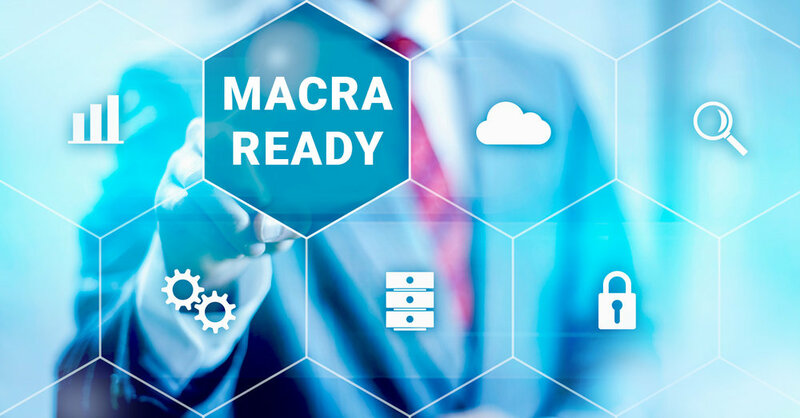 First Insight offers a certified EHR that is MACRA READY: MaximEyes EHR complies with reporting requirements you need for the new Merit-Based Incentive Payment System (MIPS) to support increased outcomes. For more information, check out the First Insight website at www.first-insight.com.